Paper plants can use old newspapers, special news, groundwood computer printout, coated groundwood sections, publication blanks, mixed groundwood and flyleaf shavings to make high quality kraft paper, corrugated paper board, tissue paper, culture paper, newspaper, etc. 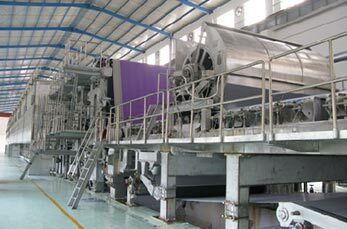 Leizhan, a professional complete stock preparation line equipment manufacturer, can offer the complete turnkey solution for old newspapers processing. Advanced and special designed machine structure to improve the working efficiency. Imported accessories parts to ensure the high quality of the equipment.